Meeting and customs assistance in Cordoba. 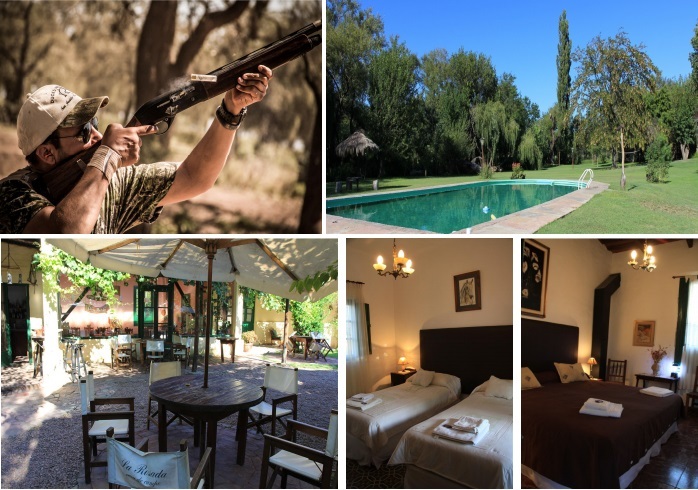 4 nights and 4 days accommodations in an estancia (Casa Rosada). All meals and beverages (American-style breakfast and dinner at your estancia). Traditional Argentina asados at lunch time in the field. One bird boy per hunter. Hunting license – USD 60.00 per day per person. Gun rental – USD 60.00 per day for each gun. Guns permits – USD 140.00 for each gun you bring. Shells – After the shells included in your package, the cost is USD 12.50 per box of 25 in 12, 20, 28 gauge or .410 bore. If you would like this hunting package, please fill out the follow form to contact us.